With the increase in world population and quality living, energy has become a significant part of our daily life. Currently, the need for energy consumption does not match with its generation. Energy storage has thus become one of the grand challenges worldwide. 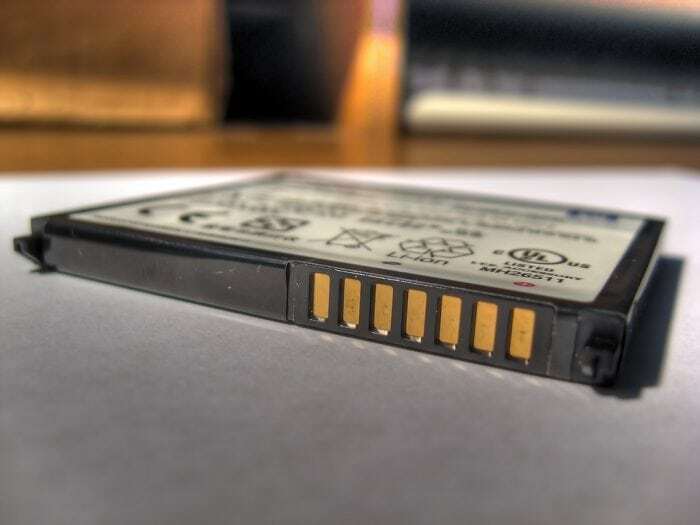 In recent years, lithium-ion batteries have been developed to be used in electronic devices, such as cell phones, drones, electric vehicles, laptops, and smart grids. The lithium-ion batteries store and provide energy through electrochemical reactions. There existed many drawbacks, such as low power, slow charging, expensive, short life, and unsuitable in harsh working conditions. To overcome those, researchers have made significant efforts in developing better electrode materials. One of the most reported is vanadium pentoxide. This material has a unique layered crystal structure that provides inserted spaces for intercalated lithium ions, a critical factor to improve the performance of a lithium-ion battery. In one of their recent work, a reach team at Texas A&M University analyzed the structures and performance of vanadium pentoxide used as electrode material. They discovered some key characteristics that make the material suitable for electrodes. As the electrode, vanadium peroxide has three modes of lithium ion intercalation. The first is the one inserted lithium ion within a narrow potential window of 2.5-4 V; the second is two inserted lithium ions within the intermediate window of 2-4 V; the third is three inserted lithium ions within the wide window if 1.5-4 V. As we know that the electrochemical performance of a battery is dominated by how lithium ions intercalated. How do we know if a new battery is good? It turns out that there exist a couple factors that can be used as the “ruler” to measure their performance. One of them is called the high capacity band. This term expresses a new concept about the maximum ability of the specific capacity of a V2O5 electrode. Pending on applied current densities, through a charge-discharge cycle, a series output capacity can be reached. The value of the highest capacity band for each insertion mode (of a V2O5 electrode) will reach the optimal performance. This can be illustrated as the highest peak of the specific capacity value located in the high capacity band. In those, we seek the maximum value of specific capability. Based on this discovery, we can now find the best way to design an electrode. The hints will be, for example, using hierarchical-structures to increase energy power; adding carbon materials or ions to increase energy density; and using porous current collectors to increase capacity. Details can be found in the paper: Yuan Yue and Hong Liang, Micro- and Nano-Structured Vanadium Pentoxide (V2O5) for Electrodes of Lithium-Ion Batteries, published in the journal Advanced Energy Materials. The primary focus of our research is in the broad area of surface and interface science and engineering. This interdisciplinary area is in the frontier of science and has many important engineering applications. Current topics include, development of methodology to characterize and understand chemical, mechanical, physical, and tribological properties of surfaces and interfaces of materials in different states: solid, liquid, and vapor; development of processes to synthesize nanoparticles, nanostructured bulk materials, and surface coatings with multi-properties; and development of nanomanufacturing processes to fabricate nanostructures, nanodevices, sensors, and hybrid (including cyborg) systems.